We all know that if you laid all the economists in the world end to end they still wouldn't reach a conclusion. Of all the technical books I have read, the ones I often find myself arguing with the authors are books written by economists. I'm not really an argumentative guy. You will (almost) never find me arguing with anyone. But I like it when people pick a stance and stick to it. I hate to see someone drifting ceaselessly between two opposing opinions. And I'm yet to read any book on Economics -- micro, macro or international economics -- that the author stuck to one stance. And I would rather buy a book on finance and investment (my favourite technical field) written by an Engineer than buy one written by an economist. One of the books I dislike most and wished I hadn't bought is A Random Walk Down Wall Street. It was written by an economics professor. I didn't gain any useful knowledge from the book. But today's post is on best statement I have ever heard made by an economist. "But this long run is a misleading guide to current affairs. In the long run we are all dead. Economists set themselves too easy, too useless a task if in tempestuous seasons they can only tell us that when the storm is long past the ocean is flat again." John Maynard Keynes. My favourite part of is "... In the long run we are all dead ..."
Here's a little more background to that quote. 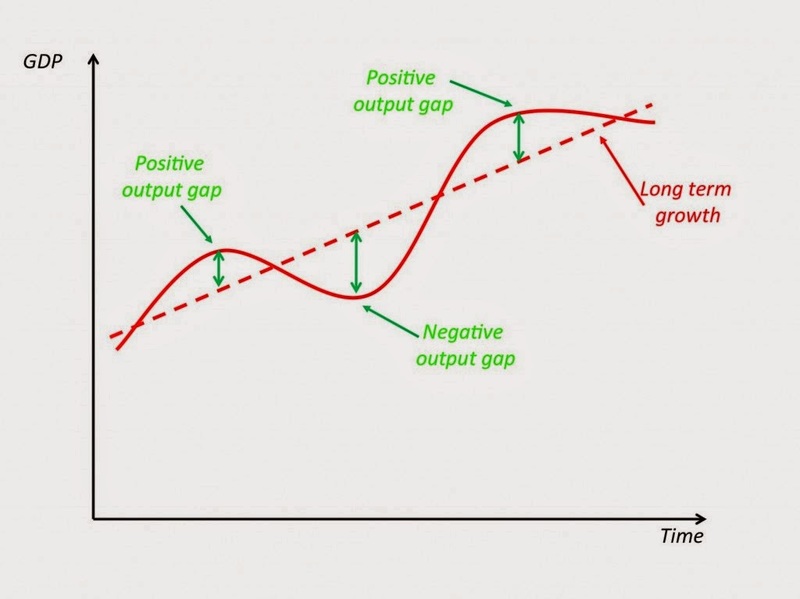 In Economics there is what we call Business Cycle and Long Run Economic Growth. Business cycle is more like a theory that states that there will always be fat years and lean years for a nation. And Long Run Economic Growth states that fat years will more than make up for the lean years, that in the end we will always be better off. So now you understand why Keynes said when economists focus on the long run they will end up doing very little (become almost useless). It's because we all know that there is always light at the end of the tunnel, rainbow after the storm, and bigger boom after every bust. Keynes is saying that though the long run will definitely come, it may not benefit us (but I think he meant some of us, especially England). If we keep leaving everything to chance and spend our time coming up with theories to give us hope that things will soon change for the better, when it finally does we might not be alive. Or it might benefit only our neighbours. But most importantly we would have lost the chance to make it better quicker and on our own terms, afterall, regardless of what we do it would become better. Now let's leave economics for the economists and take a closer look at our individual lives. Are you also long run obsessed? Leaving a huge part of your happiness and progress to chance? Hoping the end of the tunnel is soon and the storm will soon be over? First, there is nothing wrong with that. Like we Yorubas say, "A chicken that is alive can still eat corn". If you keep your optimism you will almost definitely see a better day. But there's something better. If you don't just stay hopeful and alive, but also put in an immense effort to better your state. If you try to control your current affairs more and leave less to chance, you will be better off soon and more assuredly. Because in the long run we (might) all be dead.